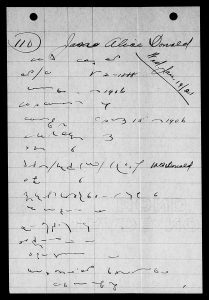 Can you read shorthand? I certainly cannot. 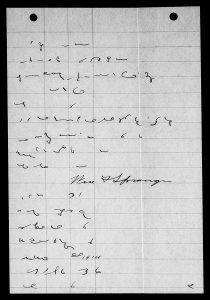 Shorthand testimony was taken in regards to the naturalization of Jane Alice Donald in Adams County, Illinois, in 1921. The material appears with other loose naturalization-related documents from Adams County, Illinois. It’s not often I discover this much shorthand in a record–let alone an entire record written in shorthand. It serves as a reminder that we can easily encounter handwriting we cannot read in virtually any record–even when most of other materials are written in a script with which we are familiar. 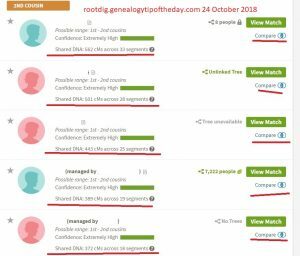 I’m not related to Jane. I merely stumbled across this item while searching for something else. It is located in “Naturalization related papers, cases 1-414, ca. 1830-1918” from Adams County, Illinois, as micofilmed by FamilySearch. Looks like Gregg that my Mom knew. I took Thomas and can only read that. Well that’s really interesting. Have you posted it to the German translation groups on Facebook? I was a shorthand teacher in the 1970’s, but I found it very difficult to attempt to read this shorthand. I would guess that, as someone else said, it is from the earlier 1900s. I still use shorthand for all my note taking, but since I wrote it, I can also read it! 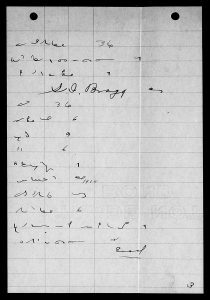 Very interesting to find that shorthand was used in a legal document. I read my Gregg shorthand but everyone has their own way – just like handwriting. I caught a glimpse of a few words which leads me to believe it is a version of Gregg, but I still couldn’t make sense of it. Very interesting though.